Firebase, now part of Google, is a Cloud Services Provider for Backend as a Service. They provide realtime database for the App Development on the various platforms through APIs. 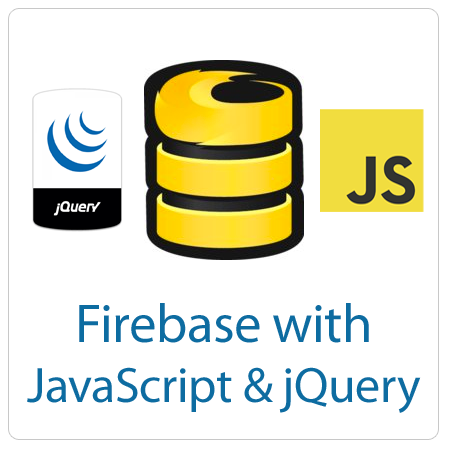 Why do we need Firebase or Similar System? You might have gone through the time consuming task of getting a database ready and then synchronizing data on the application for all users. And if the application is spanning to multiple platforms along with multiple user, I can assume a lot of time spent in preparing the Realtime and Synchronous state of the system. So if you have a online DBMS, it will save you from setup and getting started time. And if you have realtime communication API, it will save you from the effort to figure out an architecture and system design to do the same. Now if these above two thing are available in one, what else do we need? Within no time you can make a Good, Logical, Thoughtful Idea to an Awesome working Idea. And for a plus, if that DBMS already provides you the very common authentication schemes, Icing on the Cake. Within a small development time your Awesome Idea became an WOW! What an Idea!. 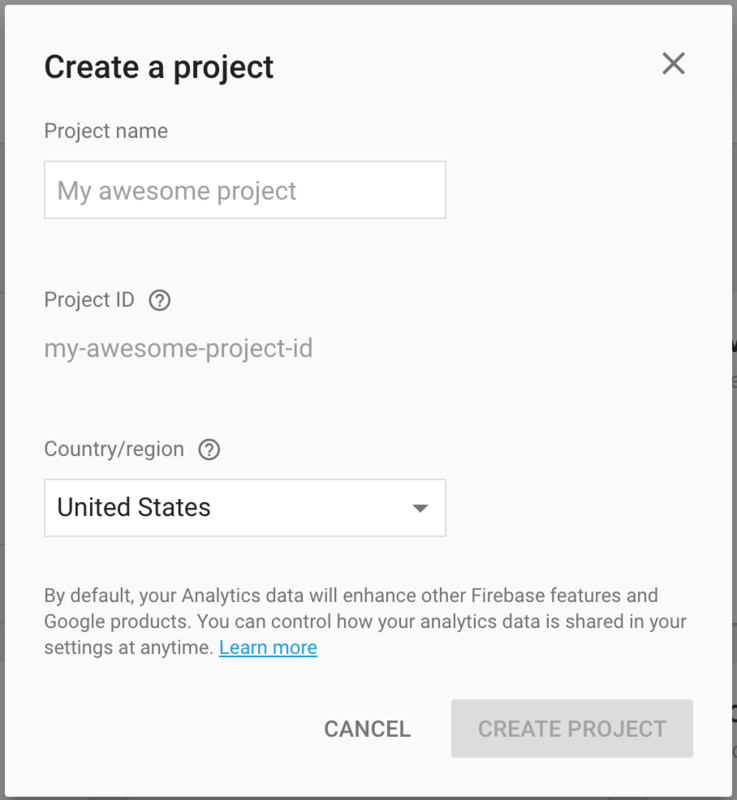 So enough with the praises; lets come to “Getting Started with Firebase” thing. 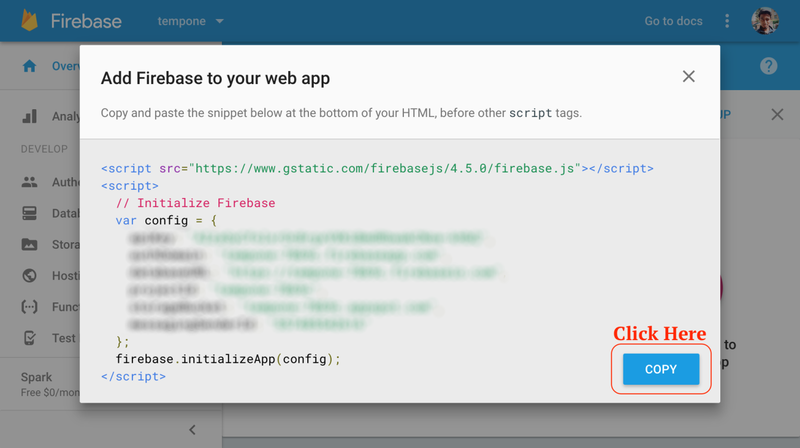 First you need to signup at Firebase. For this you can go to https://console.firebase.google.com/ directly and finish the signup. As soon as you sign-up/log-in, you will see account dashboard and here you can create a new app. 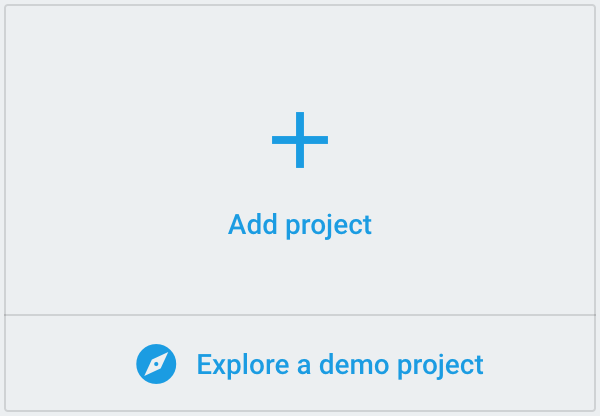 As soon as the App creation finishes, firebase console will redirect to App management section. Above copied code can be pasted in the HTML file just above the script tag for our bindings file script.js. As our app is initialized, we can create the database reference through which we will be doing our Read and Write operations. As from above format it is clear that out db has child array contacts. This array will hold the contact objects as a key value pair of contactId and contactObject. contactId is a hash generated by Firebase. Hashed are used to prevent the concurrent access and overlapped data writing. Lets come back to the app design. For the basic things we must be able to add and view data. 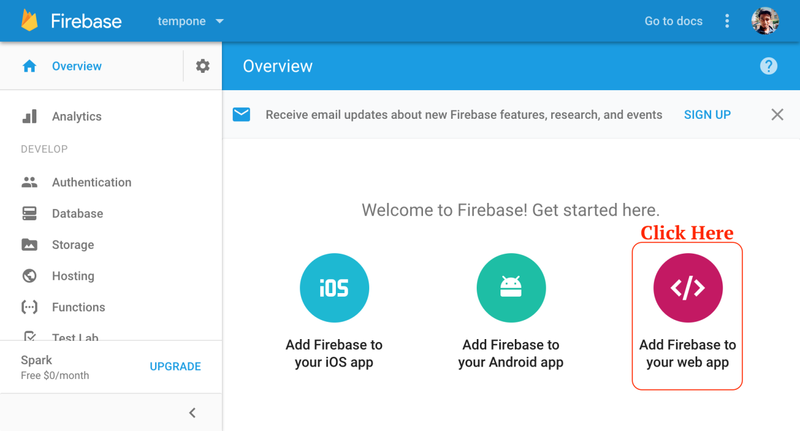 And the contact gets added to the Firebase App. Now there is a trigger to an event of child_added which will get the newly added child. As we are working with the collection contacts we are having events child_added, child_removed and child_changed. child_moved event is also there but available only when working with the ordered data. value event can be used for addition and changes in the data but will provide everything. So in case of collection value callbacks can take longer time to execute because of large dataset received. But for collection, can be used for first load of app. So with above code we completed the C(Create) and R(Read) of the CRUD operations of our application. Now for U(Update) and D(Delete) we can use .set() and .remove() methods. While updating data, we would need to travarse to particular key child object anf then use set method, the set method accepts new updated object to be set as new value. And after travarsal if you wanna delete that node/key, you can use the .remove(). Following is the example code for adding, updating and then removing a rogue/improper value. In this app, we would not go ahead with the update and delete functionality. You may give it a try and tell us about it in the comments. For the demo of the app and download of source code, you may follow following links. Happy Coding…!! !